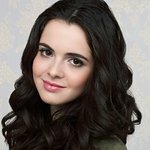 Actress Vanessa Marano is best known for playing Bay Kennish on Switched At Birth. She supports Cruelty Free International. Google trends for "Vanessa Marano"
We don't have any videos related to Vanessa Marano.